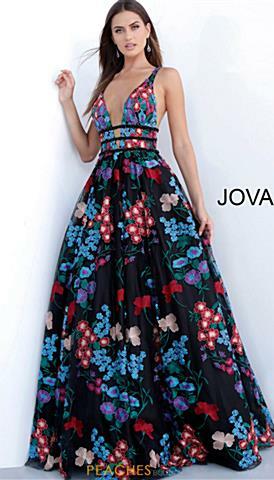 If you are looking for a dress that is universally slimming, opt for black prom dresses for your senior prom or your next social occasion. 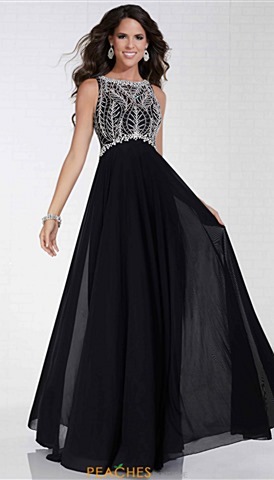 Black prom dresses are classic and timeless- they will never go out of style. 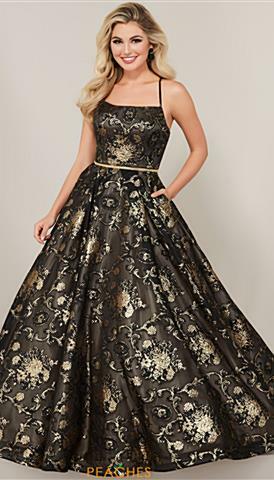 Little black homecoming dresses are staple pieces that should be in every girl's wardrobe. If you have a simple style and prefer no glitz, we have numerous black jersey silhouettes with minimal or no embellishments that portray a demure look. 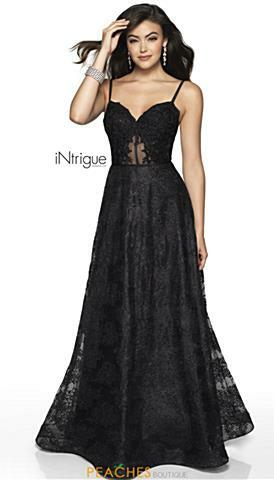 Black lace dresses are extremely popular, not only for their feminine appeal but for their new take on sheer illusions and beaded lace that add a subtle sparkle without the typical silver bead work. 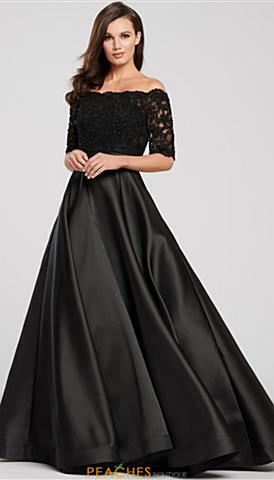 If your style is a mermaid silhouette or fitted gown, black full-length gowns are considered more conservative and sophisticated, making them ideal for formal events or social occasions. 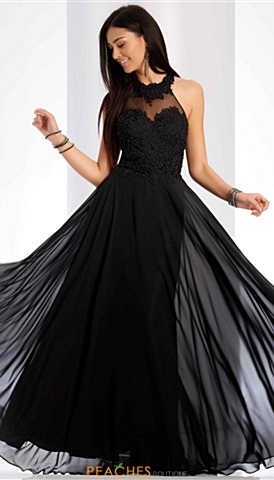 Order your black prom dress today and receive free ground shipping. We offer returns and exchanges, plus no tax (outside Illinois)! 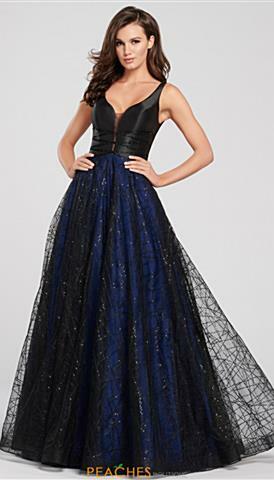 Opulence and extravagance reflect the epitome of what a black prom dress defines. 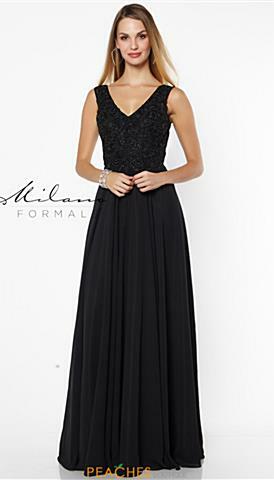 Captivate the crowd as you make a remarkable entrance in a chic black dress. 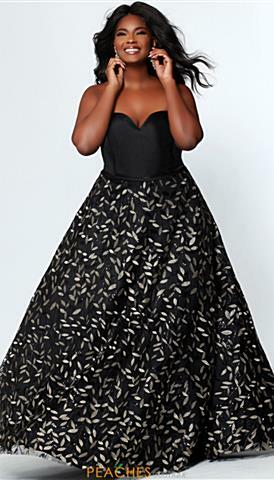 A classic little black homecoming dress is an essential piece in any woman's wardrobe. Feel like a Hollywood starlet in a sensational black gown. 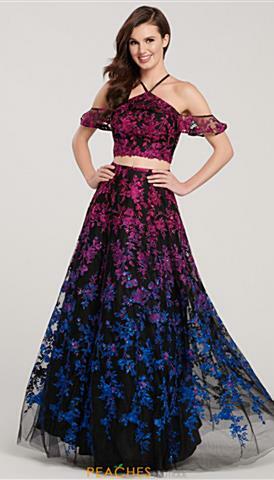 An ideal choice for any social occasion such as prom, winter formal, gala etc. With a distinction of designs, you can achieve any look that illustrates your inner fashionista. Can you picture yourself in a sophisticated halter fitted style? Perhaps a curve-hugging off the shoulder mermaid is more your taste. 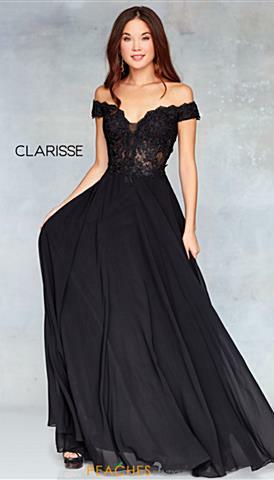 How about an edgy black prom gown with a plunging v neckline and silhouette? Needless to say, any look that appeals to you will mesmerize all as you make an everlasting impression. 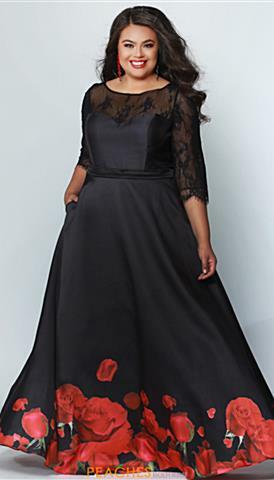 Magnetize in a luxurious black homecoming gown, a phenomenal choice found at Peaches Boutique.